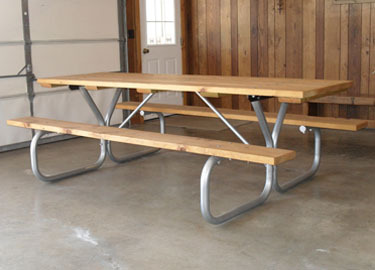 Freudenthal Mfg picnic table frames are the heaviest strongest frames available. Manufactured of 2" O.D. (9 ga) high tensile strength galvanized pipe. These frames will not bend like the frames at the big box stores. It will be the last frame you need to purchase. Can ship to any location.